Episode 97 - Value is created by you. Principles, strategies, and ideas to help you lease more apartments. We have 5 Marketing Principles that are the foundation for our marketing and leasing strategies at J.C. Hart Company. Discovery, Story, Clarity, Buoyancy, and Courtesy all touch marketing, service, and sales as each of these areas need to work together for property management success. The Leasing Show focuses on sales/leasing and the principles that impact those 5 Marketing spaces. Thank you multifamily friends for listening, commenting, and sharing. Episode 112 - Build rapport or just go for the appointment? Today's data suggests building rapport may not be what you do at first with the customer. Thanks for listening. Please subscribe in Apple Podcasts (https://goo.gl/87NKxo) or Google Play (https://goo.gl/7k7Bx1). Episode 111 - Will automated systems take over leasing? Some tasks we do today can be automated. The thing to think about is how you can create additional value with the extra time you have? Thanks for listening. Please subscribe in Apple Podcasts (https://goo.gl/87NKxo) or Google Play (https://goo.gl/7k7Bx1). Episode 110 - How can I deal with the no? It's tough to get the no from a customer. You need to spin that into a positive. Thanks for listening. Please subscribe in Apple Podcasts (https://goo.gl/87NKxo) or Google Play (https://goo.gl/7k7Bx1). Episode 109 - What if I think we're expensive? Price means something different to everyone. You have to remove your mindset on price to help the customer see the value. Thanks for listening. Please subscribe in Apple Podcasts (https://goo.gl/87NKxo) or Google Play (https://goo.gl/7k7Bx1). Episode 108 - How can I sell without being salesy? Typically, normally, and usually, social proof can be a great way to enhance something a prospects thinks is important. Thanks for listening. Please subscribe in Apple Podcasts (https://goo.gl/87NKxo) or Google Play (https://goo.gl/7k7Bx1). Episode 107 - Why is spilling candy so bad? Stop making it about you, and start making about them. Thanks for listening. Please subscribe in Apple Podcasts (https://goo.gl/87NKxo) or Google Play (https://goo.gl/7k7Bx1). Episode 106 - Is it time to lower prices? "You shut your mouth when you're talking to me." Extra points if you know that movie. Lowering price is ok, but it's not a gut decision. Bring your data! Thanks for listening. Please subscribe in Apple Podcasts (https://goo.gl/87NKxo) or Google Play (https://goo.gl/7k7Bx1). Episode 105 - Comps are running specials, now what? If you take anything away from this episode just know that you NEVER have to match your competition to be competitive. Thanks for listening. Please subscribe in Apple Podcasts (https://goo.gl/87NKxo) or Google Play (https://goo.gl/7k7Bx1). Episode 104 - Traffic is down, now what? Data and technology today can help give you a shot in the arm. Make sure you set things up so that you can easily turn the needle as needed. Thanks for listening. Please subscribe in Apple Podcasts (https://goo.gl/87NKxo) or Google Play (https://goo.gl/7k7Bx1). Episode 103 - What should I look at first? So occupancy is trending down...now what? Let's not jump to price like your less talented competition might. Thanks for listening. Please subscribe in Apple Podcasts (https://goo.gl/87NKxo) or Google Play (https://goo.gl/7k7Bx1). Episode 102 - What if we think we're too expensive? It's easy to get caught up on pricing as a leasing tactic. I think that's 3rd on the list though. Thanks for listening. Please subscribe in Apple Podcasts (https://goo.gl/87NKxo) or Google Play (https://goo.gl/7k7Bx1). Episode 101 - What's the best way to ask for an application? You shouldn't have to suggest the application. They should know what happens next at the end of the tour. Thanks for listening. Please subscribe in Apple Podcasts (https://goo.gl/87NKxo) or Google Play (https://goo.gl/7k7Bx1). Episode 100 - What's the hardest part about changing? Fear of being less like yourself is something that holds people back. That said, the better you know yourself the better you can understand others. Thanks for listening. Please subscribe in Apple Podcasts (https://goo.gl/87NKxo) or Google Play (https://goo.gl/7k7Bx1). Episode 99 - What's the best way to learn? Execution is the game...period. Thanks for listening. Please subscribe in Apple Podcasts (https://goo.gl/87NKxo) or Google Play (https://goo.gl/7k7Bx1). Thanks to Tim Roberts our Sandler Training Pro for this great story about the British Cycling team and how the little things add up to make huge gains. Thanks for listening. Please subscribe in Apple Podcasts (https://goo.gl/87NKxo) or Google Play (https://goo.gl/7k7Bx1). Last week I talked a lot about customer service and the leasing experience. Not only does that help you get the lease, but it also helps you build more value over time for your property. Thanks for listening. Please subscribe in Apple Podcasts (https://goo.gl/87NKxo) or Google Play (https://goo.gl/7k7Bx1). 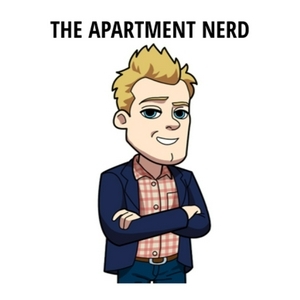 Episode 96 - Have listing sites commoditized apartments? We've allowed it to happen. The questions is what are you doing to differentiate and stand out beyond price and photos. Thanks for listening. Please subscribe in Apple Podcasts (https://goo.gl/87NKxo) or Google Play (https://goo.gl/7k7Bx1). Episode 95 - How important are online ratings? Unless you are content with being average they are very important. Your call. Thanks for listening. Please subscribe in Apple Podcasts (https://goo.gl/87NKxo) or Google Play (https://goo.gl/7k7Bx1). Episode 94 - What do I do if I don't have any amenities? The biggest amenity you need to highlight is you. Fancy fitness centers or pools are small compared to the value you bring to the living and leasing experience. Thanks for listening. Please subscribe in Apple Podcasts (https://goo.gl/87NKxo) or Google Play (https://goo.gl/7k7Bx1). Episode 93 - Should I use a call center? We can't answer everything, but don't be convinced that a call center can do a better job than you setting appointments. Thanks for listening. Please subscribe in Apple Podcasts (https://goo.gl/87NKxo) or Google Play (https://goo.gl/7k7Bx1). Episode 92 - Do you accept pets? It's easy to just answer people's questions, but I suggest you ask a question in return. Especially with the pet topic. Thanks for listening. Please subscribe in Apple Podcasts (https://goo.gl/87NKxo) or Google Play (https://goo.gl/7k7Bx1). Episode 91 - Should I do follow up? There are plenty of strategies out there for this, but the main thing you shouldn't be doing is chasing the customer. Thanks for listening. Please subscribe in Apple Podcasts (https://goo.gl/87NKxo) or Google Play (https://goo.gl/7k7Bx1). Episode 90 - What's one thing you can do this week? Sometimes we just need a spark to capture that extra lease. What's that spark going to be for you this week? Thanks for listening. Please subscribe in Apple Podcasts (https://goo.gl/87NKxo) or Google Play (https://goo.gl/7k7Bx1). Episode 89 - What if they are really pushing for price? Don't cave in too quickly. A good UFC and a few question might right the ship. If it has to happen at least you set an expectation of how it usually works vs. the way they are insisting to get info. BTW, this isn't that many people, so don't assume it's everyone. Thanks for listening. Please subscribe in Apple Podcasts (https://goo.gl/87NKxo) or Google Play (https://goo.gl/7k7Bx1). Episode 88 - Should I use email templates? Do you like getting canned responses from companies? There's your answer. Thanks for listening. Please subscribe in Apple Podcasts (https://goo.gl/87NKxo) or Google Play (https://goo.gl/7k7Bx1). Episode 87 - How do I break old phone habits? Stop vomiting features and benefits and ask more open ended questions. Or skip that all together and just ask when they can come out for a tour. It's why they really called. Thanks for listening. Please subscribe in Apple Podcasts (https://goo.gl/87NKxo) or Google Play (https://goo.gl/7k7Bx1). Episode 86 - What happens when someone is a difficult read? Ask more questions and lean on your strengths, and be patient. Thanks for listening. Please subscribe in Apple Podcasts (https://goo.gl/87NKxo) or Google Play (https://goo.gl/7k7Bx1). Episode 85 - What do I do when the customer is in a hurry? It's easy to let the customer dictate how much time is needed for a tour. I think you should push back a bit though as it's your job to build trust and provide them an experience. Thanks for listening. Please subscribe in Apple Podcasts (https://goo.gl/87NKxo) or Google Play (https://goo.gl/7k7Bx1). Episode 84 - What to do when they want to check out comps? Two things here. Ask more questions and get an agreement of what follow up looks like and when a decision will be made. Thanks for listening. Please subscribe in Apple Podcasts (https://goo.gl/87NKxo) or Google Play (https://goo.gl/7k7Bx1). Episode 83 - Why won't some people lease from me? Simply stated, you haven't asked enough questions to understand what is motivating the customer to want to buy from you. Son, your ego's writing checks your body can't cash. https://youtu.be/sRNWFtgXo2E Thanks for listening. Please subscribe in Apple Podcasts (https://goo.gl/87NKxo) or Google Play (https://goo.gl/7k7Bx1). Episode 82 - Should I track my closing ratio? I certainly don't give a $h!# about your closing ratio, but it's a great way for you to honestly track your improvement. Do it for yourself though, and not for your boss. Thanks for listening. Please subscribe in Apple Podcasts (https://goo.gl/87NKxo) or Google Play (https://goo.gl/7k7Bx1). Episode 81 - What's something new you will try this week? You have to try something new or revisit something that didn't work for you to grow and improve. What will that be this week? Thanks for listening. Please subscribe in Apple Podcasts (https://goo.gl/87NKxo) or Google Play (https://goo.gl/7k7Bx1). Episode 80 - What's my role in leasing? A musician, writer, or any kind of artist is always learning and trying to get better at their craft. Leasing is no different. Thanks for listening. Please subscribe in Apple Podcasts (https://goo.gl/87NKxo) or Google Play (https://goo.gl/7k7Bx1). Episode 79 - Is pricing the same for apartments and hotels? Hotels and airlines have had revenue management systems in place longer than apartments. I believe the current pricing system options for multifamily is trying too hard to be like them. Thanks for listening. Please subscribe in Apple Podcasts (https://goo.gl/87NKxo) or Google Play (https://goo.gl/7k7Bx1). Episode 78 - What's the real goal in leasing? Sure, we'd love for everyone to put down a deposit, but is that realistic? Something this is realistic is getting a "yes" or a "no". Thanks for listening. Please subscribe in Apple Podcasts (https://goo.gl/87NKxo) or Google Play (https://goo.gl/7k7Bx1). Episode 77 - Are you getting an agreement with your UFC? It's likely the first "yes" response you will get in the leasing process, and it sets the tone for decision making in the future. Thanks for listening. Please subscribe in Apple Podcasts (https://goo.gl/87NKxo) or Google Play (https://goo.gl/7k7Bx1). Episode 76 - How do I get excited about so many floor plans? Many new developments have 20+ floor plans. You need social proof if you're going to help people make a decision. Thanks for listening. Please subscribe in Apple Podcasts (https://goo.gl/87NKxo) or Google Play (https://goo.gl/7k7Bx1). Episode 75 - Are you afraid of getting a no? Telling the customer that "no" is an acceptable decision that won't hurt your feelings leads to more leases. Thanks for listening. Please subscribe in Apple Podcasts (https://goo.gl/87NKxo) or Google Play (https://goo.gl/7k7Bx1). Episode 74 - What should I look for at the NAA Conference? There are plenty of networking opportunities and fun to be had at an Apartment Conference. If I were going here's what I would look for. Thanks for listening. Please subscribe in Apple Podcasts (https://goo.gl/87NKxo) or Google Play (https://goo.gl/7k7Bx1). Episode 73 - Does it matter what I wear to work? Check out this article about GM's dress code. https://work.qz.com/1242801/gms-dress-code-is-only-two-words/ Thanks for listening. Please subscribe in Apple Podcasts (https://goo.gl/87NKxo) or Google Play (https://goo.gl/7k7Bx1). Episode 72 - How do I compete with a new property? The new property down the street has more disadvantages than you might think. Thanks for listening. Please subscribe in Apple Podcasts (https://goo.gl/87NKxo) or Google Play (https://goo.gl/7k7Bx1). Episode 71 - What happens when I screw up? We're always learning. The greatest teacher, failure is. Thanks for listening. Please subscribe in Apple Podcasts (https://goo.gl/87NKxo) or Google Play (https://goo.gl/7k7Bx1). Episode 70 - Are you prepared for the excuses? Sometimes people don't want to say no to your face or maybe they throw a curve ball at you with how they plan to make a decision. Either way, make sure you ask more questions and have a mutual understanding of the next step in the decision part of the process. Thanks for listening. Please subscribe in Apple Podcasts (https://goo.gl/87NKxo) or Google Play (https://goo.gl/7k7Bx1). Episode 69 - How important is your brochure? A bit of a marketing topic today, but a part of selling that I think is overrated. Thanks for listening. Please subscribe in Apple Podcasts (https://goo.gl/87NKxo) or Google Play (https://goo.gl/7k7Bx1). Episode 68 - What if we are more expensive? We focus on comp surveys too much. You dictate your value based on the experience you deliver. Don't let the C-Suite convince you that a comp study every week is that important. Thanks for listening. Please subscribe in Apple Podcasts (https://goo.gl/87NKxo) or Google Play (https://goo.gl/7k7Bx1). Episode 67 - Why do people call? People may ask about price or specials at the beginning of a call, but that's just because they don't know what else to ask. Thanks for listening. Please subscribe in Apple Podcasts (https://goo.gl/87NKxo) or Google Play (https://goo.gl/7k7Bx1). Episode 66 - Is the devil really in the details? Yes and no. The details are important, but maybe not to everyone. Thanks for listening. Please subscribe in Apple Podcasts (https://goo.gl/87NKxo) or Google Play (https://goo.gl/7k7Bx1). Episode 65 - How can I sell on Instagram? The best way to sell in Instagram is to not sell on Instagram. Thanks for listening. Please subscribe in Apple Podcasts (https://goo.gl/87NKxo) or Google Play (https://goo.gl/7k7Bx1). Episode 64 - Do I really need to change? I get it. You've been doing this awhile. That doesn't mean you can't learn. Thanks for listening. Please subscribe in Apple Podcasts (https://goo.gl/87NKxo) or Google Play (https://goo.gl/7k7Bx1). Episode 63 - Do sales gimmicks work? Tactics and gimmicks are only part of the process. You don't build trust with a few gimmicks. Thanks for listening. Please subscribe in Apple Podcasts (https://goo.gl/87NKxo) or Google Play (https://goo.gl/7k7Bx1). Episode 62 - What's one thing I can do today to get better? In a recent meeting about websites we started talking about making appointments. Figured I'd bring it up again. Thanks for listening. Please subscribe in Apple Podcasts (https://goo.gl/87NKxo) or Google Play (https://goo.gl/7k7Bx1). Episode 61 - Why is it easier to lease to someone like me? We like people like us, and tend to trust them more. What can you do to better understand what it takes to lease to people that are not like you? Thanks for listening. Please subscribe in Apple Podcasts (https://goo.gl/87NKxo) or Google Play (https://goo.gl/7k7Bx1). Episode 60 - What do I do after a tour? Maybe role playing isn't your thing. Why not listen to that recorded call, or rehash that last tour you had? Thanks for listening. Please subscribe in Apple Podcasts (https://goo.gl/87NKxo) or Google Play (https://goo.gl/7k7Bx1). Episode 59 - What is another way to connect with someone? Visual, Auditory, or Kinesthetic? What's your learning style? Thanks for listening. Please subscribe in Apple Podcasts (https://goo.gl/87NKxo) or Google Play (https://goo.gl/7k7Bx1). Episode 58 - What if the the prospect says it's too expensive? Your goal is to help understand and build trust. Take some extra time with this question and don't jump into wheeling and dealing on price. Thanks for listening. Please subscribe in Apple Podcasts (https://goo.gl/87NKxo) or Google Play (https://goo.gl/7k7Bx1). Episode 57 - Can you tell me more? We often make assumptions about what a customer really means when they comment or make a statement about something. Take it further by asking them to tell you more about their thoughts. Thanks for listening. Please subscribe in Apple Podcasts (https://goo.gl/87NKxo) or Google Play (https://goo.gl/7k7Bx1). Episode 56 - Is price really that important a factor? Let's not take those initial price questions for what they are. Dig deeper. Thanks for listening. Please subscribe in Apple Podcasts (https://goo.gl/87NKxo) or Google Play (https://goo.gl/7k7Bx1). Episode 55 - How much time do you need for a tour? Don't be the shady sales person that says you "just need 5 minutes of your time." You can do better. Thanks for listening. Please subscribe in Apple Podcasts (https://goo.gl/87NKxo) or Google Play (https://goo.gl/7k7Bx1). Episode 54 - When is the best time to screw up? Any professional knows they need to practice before they are ready for the game. Why is leasing any different? Thanks for listening. Please subscribe in Apple Podcasts (https://goo.gl/87NKxo) or Google Play (https://goo.gl/7k7Bx1). Episode 53 - Why does sales have to be so frustrating? Sometimes we're our own worst enemy. How can we work on that? Thanks for listening. Please subscribe in Apple Podcasts (https://goo.gl/87NKxo) or Google Play (https://goo.gl/7k7Bx1). Episode 52 - How to deal with the calm and quiet type? This is difficult for me because I'm a loudmouth. In today's episode I touch on a few things to keep in mind when dealing with a high S. Thanks for listening. Please subscribe in Apple Podcasts (https://goo.gl/87NKxo) or Google Play (https://goo.gl/7k7Bx1). Episode 51 - What are you afraid of? I've said this before, but I'll say it again. You have my permission to fail as long as you can show that you are trying to improve. You have to get through the fear of failure by taking that first step. Sometimes that comes with failure, but people will forgive you and you can forgive yourself as long as you are moving forward. Thanks for listening. Please subscribe in Apple Podcasts (https://goo.gl/87NKxo) or Google Play (https://goo.gl/7k7Bx1). Episode 50 - Why do I need to be a better listener? We talk to much. If we don't change our behavior we won't understand how the customer will make a decision. Thanks for listening. Please subscribe in Apple Podcasts (https://goo.gl/87NKxo) or Google Play (https://goo.gl/7k7Bx1). Episode 49 - Can you leak a little candy? Of course it's tempting to go into "sales" mode and vomit all the cool features and benefits at the customer. Rather than spill your candy everywhere, you certainly could leak some candy as long as you ask questions in the process. Thanks for listening. Please subscribe in Apple Podcasts (https://goo.gl/87NKxo) or Google Play (https://goo.gl/7k7Bx1). Episode 48 - Are you impatient? Change takes time. Success does not happen overnight, and can be difficult. Thanks for listening. Please subscribe in Apple Podcasts (https://goo.gl/87NKxo) or Google Play (https://goo.gl/7k7Bx1). Episode 47 - Does your title matter in leasing? We juggle multiple roles in property management. Let's not get hung up on titles. I think there is only one title that you should care about. Thanks for listening. Please subscribe in Apple Podcasts (https://goo.gl/87NKxo) or Google Play (https://goo.gl/7k7Bx1). Episode 46 - Do you have any specials? Customers ask this questions because your competition leads with specials as their key selling technique. You can be better than your competition or a lousy car dealer. Thanks for listening. Please subscribe in Apple Podcasts (https://goo.gl/87NKxo) or Google Play (https://goo.gl/7k7Bx1). Episode 45 - Are you asking, "What happens next?" If you aren't setting the right expectations and explaining how the process works up front, then my guess is that you don't close with "What happens next?" I recommend you work on this. It can be a game changer. Thanks for listening. Please subscribe in Apple Podcasts (https://goo.gl/87NKxo) or Google Play (https://goo.gl/7k7Bx1). Episode 44 - Do I need to show every amenity? Fair housing fears and scripted tours really take away from creating a positive experience for each prospect. I say throw out the script and ask better questions. Thanks for listening. Please subscribe in Apple Podcasts (https://goo.gl/87NKxo) or Google Play (https://goo.gl/7k7Bx1). Episode 43 - Is leasing different at an A, B, or C type property? When we start our training seminars, this is one of the biggest questions and push-backs we get. "My property is different." Properties may be different, but should we be communicating with people any different? Something to think about after this episode. Thanks for listening. Please subscribe in Apple Podcasts (https://goo.gl/87NKxo) or Google Play (https://goo.gl/7k7Bx1). In this episode I interview @mbrewer to learn more about who inspires him, how he impacts change, and the most challenging part of leasing. https://www.linkedin.com/in/mikebrewer/ https://www.facebook.com/apartmenthacker/ https://twitter.com/mbrewer If you or someone you know would like to be interviewed on the #LeasingShow let me know. Thanks for listening. Please subscribe in Apple Podcasts (https://goo.gl/87NKxo) or Google Play (https://goo.gl/7k7Bx1). Texting customers can be a powerful tool in your leasing belt, but don't treat it like email. Thanks for listening. Please subscribe in Apple Podcasts (https://goo.gl/87NKxo) or Google Play (https://goo.gl/7k7Bx1). As a DISC profile high I myself, this episode gives you tips on dealing with those highly extroverted customers. Thanks for listening. Please subscribe in Apple Podcasts (https://goo.gl/87NKxo) or Google Play (https://goo.gl/7k7Bx1). Episode 40 - What are you doing for referrals? Pro tip: The fee amount has less impact than you believe. Stop wasting you money with high referral fees. Thanks for listening. Please subscribe in Apple Podcasts (https://goo.gl/87NKxo) or Google Play (https://goo.gl/7k7Bx1). Episode 39 - Are you a good listener? This is something I have to catch myself on and practice. You should too. Thanks for listening. Please subscribe in Apple Podcasts (https://goo.gl/87NKxo) or Google Play (https://goo.gl/7k7Bx1). Thanks for the questions from @cdrusk in today's episode. He's curious what a good strategy is for talking price when you have a revenue management pricing system. Thanks for listening. Please subscribe in Apple Podcasts (https://goo.gl/87NKxo) or Google Play (https://goo.gl/7k7Bx1). Episode 37 - You can do better than your "people skills." It's tough to get in the moment, but just like the best athletes in the world you have to prepare to be the best leasing professional in the world. Thanks for listening. Please subscribe in Apple Podcasts (https://goo.gl/87NKxo) or Google Play (https://goo.gl/7k7Bx1). It's a great question to ask, and a great way to practice. Thanks for listening. Please subscribe in Apple Podcasts (https://goo.gl/87NKxo) or Google Play (https://goo.gl/7k7Bx1). It's a great problem to have, but it drives me crazy that so many leasing professionals turn people away so quickly without even attempting to help them. Thanks for listening. Please subscribe in Apple Podcasts (https://goo.gl/87NKxo) or Google Play (https://goo.gl/7k7Bx1). Episode 34 - Are commissions a motivator? Today's question comes in from @mbrewer The Apartment Hacker. Commissions and bonuses are common in our profession, but are they critical motivators? Thanks for listening. Please subscribe in Apple Podcasts (https://goo.gl/87NKxo) or Google Play (https://goo.gl/7k7Bx1). Many leasing professionals have an outgoing personality, but how do you need to adjust to deal with a customer that is more introverted and detail oriented? Thanks for listening. Please subscribe in Apple Podcasts (https://goo.gl/87NKxo) or Google Play (https://goo.gl/7k7Bx1). Episode 32 - Are you providing a Home, or selling a space? No one likes to be sold. No one! How you can you make the leasing process one that builds trust and value? Thanks for listening. Please subscribe in Apple Podcasts (https://goo.gl/87NKxo) or Google Play (https://goo.gl/7k7Bx1). Episode 31 - Do you dare use reverse psychology? Striplines or a negative reverse is not being manipulative. It's helping the customer make a decision. Thanks for listening. Please subscribe in Apple Podcasts (https://goo.gl/87NKxo) or Google Play (https://goo.gl/7k7Bx1). It can be difficult to find time to practice, but maybe you can test your leasing skills on your family. Thanks for listening. Please subscribe in Apple Podcasts (https://goo.gl/87NKxo) or Google Play (https://goo.gl/7k7Bx1). There's always a leader in the group, but you know both opinions count. What's your strategy with Roommates and Couples? Thanks for listening. Please subscribe in Apple Podcasts (https://goo.gl/87NKxo) or Google Play (https://goo.gl/7k7Bx1). Episode 28 - Are you ready to ask questions? I'm not much of a planner, but I am a practitioner. Whether you plan it out or you practice, practice, practice, you need to have a strategy for how you are going to ask questions. Thanks for listening. Please subscribe in Apple Podcasts (https://goo.gl/87NKxo) or Google Play (https://goo.gl/7k7Bx1). Episode 27 - What Does Expensive Mean To You? It's important to understand what expensive means to you because you must understand that it's nowhere near the same for everyone else. If you have a question or topic idea for the #LeasingShow tweet @theaptnerd or message me online somewhere. Shout out to Tim Roberts @TrustPointe for introducing me to this concept. It seems so obvious, but new technology and old school sales training has us spilling all our candy. Have a question for the show? #LeasingShow on Twitter or message me online somewhere. As I highlighted in episode 24, we're here to build credibility and trust. If you are not discussing time with a customer than you are putting the relationship at risk. You should be on a mission to build credibility and trust. What better way than to make sure the customer knows it's OK to say no. Episode 23 - What is mutual mystification? In this episode I talk about the importance of eliminating mutual mystification. Stop making assumptions that everyone thinks the same way. Before you let them walk out the door, drill down on that excuse they just gave you. I share some ideas on this today. If you've ever found yourself just answering the customer's questions, then this episode is for you. Price is an important factor, but you need to figure out the motivations of the customer before your share your price. No one likes to be sold. You must build trust with your prospects. I share some ideas on building trust in today's episode. Episode 17 - What happens next? Today's question: What happens next? Don't be an old school closer. Set your UFCs and you don't have to close. Today's question: Should I really answer a question with a question? More examples for why asking a question after a question can help you in the leasing process. Episode 15 - Yikes! Getting the no. Today's Question: What do you do when that prospect goes silent? In this episode, we discuss when it's time to get a no or reactivate a prospect that seems lost. Today's question: How do you typically describe a feature or benefit? For most people, using social proof is critical in your communications when leasing. Today's question: What do we do with all those missed opportunities? Most data shows that a leasing office misses more than 50% of phone calls. We discuss some ideas to capture those missed opportunities. Why you still need to get a commitment before someone walks out the door. It's not necessarily the customer's personality that is the problem. One of the most challenging parts about changing behavior is getting permission to change. Who do you need permission from? Get it! We have 6 Leasing Principles we study and train on at J.C. Hart. This episode introduces those principles. To kick start the Leasing Show, I highlight why setting appointments can be a huge win for leasing. Principle #6 is about testing the strength of the "Yes". It may seem counter-intuitive, but it works. Leasing Principle #5 is about Decision Making. You can't let people just walk out the door. Here are some thoughts on that. Leasing Principle #4 is all about that money. What's your position on money? Did you know that is critical in leasing? We cover Leasing Principle #3 as we discuss mutual mystification and the importance of asking questions. Leasing Principle #2 Ground Rules and Up-Front Contracts. An overview and example. Building on the first Leasing Principle of The Greeting/Bonding and Rapport, in Episode 3 we bring up the idea to utilize DISC assessments to improve your people skills.